California Spirit is working to bring you a better registration experience! Create or manage an account to sign up for a class, clinic or camp with our online registration system. 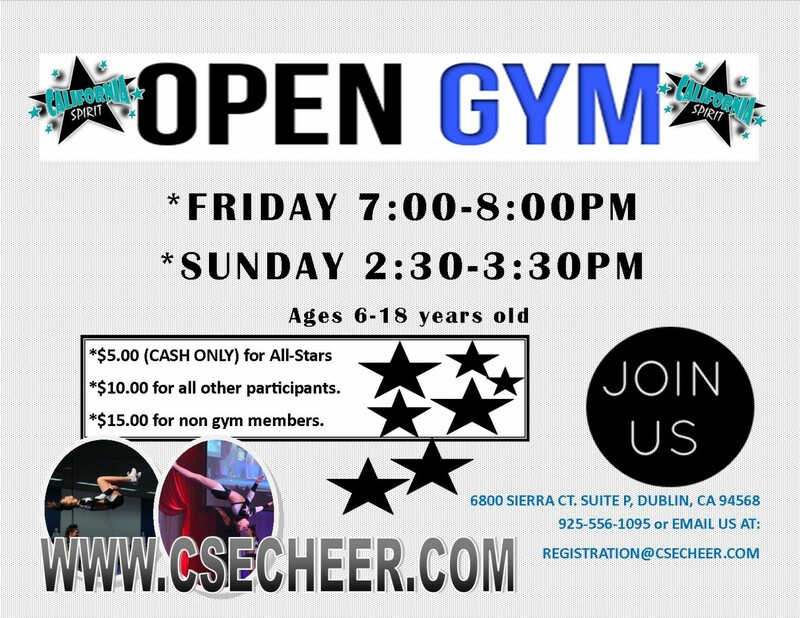 WORK ON YOUR SKILLS @ OPEN GYM!! !